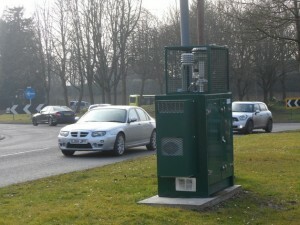 For some years, measurements of the gas nitrogen dioxide (NO2), overwhelmingly due to motor vehicle exhaust fumes, have exceeded acceptable levels at several points in Stevenage Road. NHDC declared an Air Quality Management Area (AQMA) there in 2013, and prepared an Action Action Plan -click here – to address the issue. 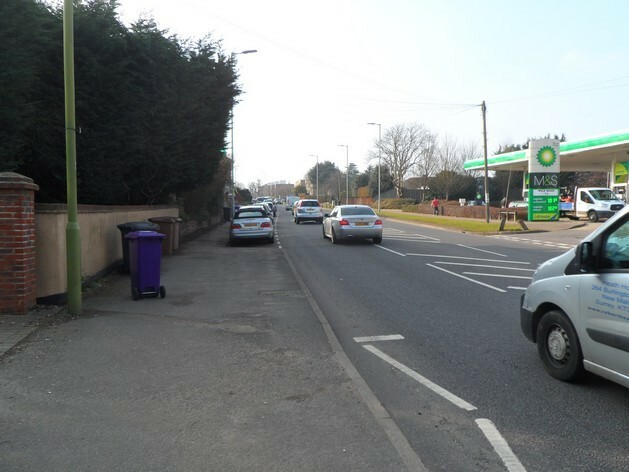 An updated Screening and Assessment Report on more recent measurements is available on the NHDC website, which shows little change in Stevenage Road, and deterioration in the Paynes Park area. Defra now requires NHDC to declare a second AQMA in the Paynes Park area, and an Action Plan to address this situation. Work will start on the declaration of the AQMA at Paynes Park and its Action Plan in the next financial year. A second report on the NHDC website gives details of progress on the 22 measures in the Stevenage Road Action Plan. NO2 occurs alongside very fine particulates, known as PM2.5s. Both NO2 and PM2.5 particles can be breathed-in and can have serious health impacts. It isn’t easy to separate the effects of NO2 and particulates, or to say what their combined health impact might be, but it is significant. A paper from Kings College London in 2015 estimates that, for the year 2010, the total number of deaths in London attributable to the combined effects of NO2 and PM2.5 particulates was between 3,537 and 9,416. Figures for North Hertfordshire equivalent to the London estimates for the combined effects of NO2 and PM2.5 on mortality are hard to find. However, PM2.5s were estimated the account for 5.6% of all deaths for those over 25 in the district in 2010, according to Public Health England. NHDC has only recently begun to monitor PM2.5 – a monitor was installed in Stevenage Road in July 2015. PM10 monitors (detecting larger and slightly less dangerous particulates) have been in use in Stevenage Road since 2015 and at Hitchin Library since 2011, although the latter site is now closed. Levels of PM10s have never exceeded acceptable limits at the monitoring locations in Hitchin. It is important to stress that high roadside measurements of a pollutant do not necessarily translate into dangerous levels of exposure, and that all measurements are subject to significant (but quantifiable) errors. The readings are, however, consistent over several years, and several locations are near to dwellings, or in areas of high footfall, so there is a problem. How does the problem arise? Diesel engines produce less carbon dioxide (CO2) per mile, and hence have less impact on global warming, so in 2001, road tax for diesel vehicles was reduced, sometimes to zero. Unsurprisingly, between 1994 and 2012, the proportion of all cars powered by diesel rose from 7.4% to 32.7% – read more here. By comparison with petrol engines with catalytic converters (i.e. vehicles built since 1993) diesel engines produce significantly more NO2 and particulates. Engine performance deteriorates with age, and older engines were manufactured to conform to less demanding emissions standards. Emissions standards were last updated in September 2014, so that there is now relatively little difference between the standards applied to new petrol and diesel engines. A high proportion of vehicles manufactured before this most recent change are still in use, so the change will take time to have any effect. All petrol and diesel vehicles produce more CO2 and pollutants when cold and when stopping and starting in traffic queues, which helps to explain why congestion in Stevenage Road has led to the current situation. The situation is exacerbated by the disproportionate contribution of pollution from both light and heavy goods vehicles (which are mainly diesel-powered, and often quite old) using the road. The Stevenage Road Air Quality Action Plan estimates that cars (which make up 83% of vehicles using Stevenage Road) only contribute 46% of NO2 emissions. This is why one of the measures that appears in the Action Plan is to investigate the possibility of re-routing goods vehicles bound for the industrial estate. Has the Stevenage Road Action Plan resulted in any improvement in air quality? Although the Update on Progress with Stevenage Road AQMA Action Plan Measures shows some progress in addressing the action points, air quality has not changed significantly. Measurements at the 5 worst monitoring sites in Stevenage Road are, on average, about 15% above the acceptable limit, so the AQMA remains in place. NO2 measurements in Upper Tilehouse Street, Parkway (near the library roundabout) and in Paynes Park are also unacceptable. The Stevenage Road Action Plan had only been in force for a year when the Screening and Assessment Report was compiled. The lack of change in Stevenage Road is therefore hardly surprising, and especially as the Action Plan contained only 6 measures out of 22 that it categorised as having anything other than a low impact on NO2 levels. Of these 6, the impact is often longer term, and dependent on variables that are hard to control – cooperation of businesses in the adoption of low-emission fleet vehicles, for instance. It is encouraging that an investigation of the effects of re-routing HGVs away from Stevenage Road has been completed, although no results have been made available to the public. Measures designed to incentivise the use of electric vehicles have been implemented, but will have little overall impact. It is disappointing that no progress has been made on improvements to cycling and walking infrastructure in the area. Please keep an eye on the website for further information.